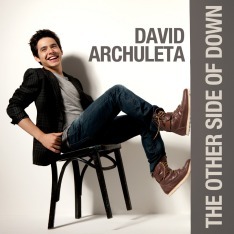 David Archuleta, a Holiday Hit! Billboard figures are out. David Archuleta’s Christmas from the Heart debuted at No. 2 for Holiday Albums. Congratulations, David! Only someone with the name recognition of “Bob Dylan” kept David from the top position. That’s a great achievement for a newly-minted star who is just 18 years old. Oh! You are so right about that!! Dylan, an icon and major artist with scores of devoted fans, barely nudged David out of the top spot! This is a huge accomplishment for David and, of course, the season has not yet begun! It’ll be fun watching this album continue to climb on the charts! David and the entire production company of “Christmas From The Heart” indeed deserve kudos for this body of work. It is beautifully mastered and David’s vocal praise for the birth of the Savior is just overwhelming. In my humble opinion, the only reason Dylan outsold David is because of the collectability of this novelty by Dylan. It is the first and probably only Christmas album by him so of course it will be snatched up by collectors. Congrats to David on the sales. Even in this extremely bad economy people still cherish the Christmas Season and Christians around the world who appreciate the true reason for the season will cherish having “CHRISTMAS FROM THE HEART” in their homes. A new Christmas tradition has begun. I expect to see this album cover and album nominated for next year’s Grammys and AMA. I’m so happy for David. He works so hard on his music and for him to get recognition like this (only what he truly deserves) really is real. I say “real” because we all know that David is the very best. So, people out there are responding in the only ‘real’ way that they can! Shoot, I don’t want to hear any other sing my Christmas songs and I bet there will be a lot of others who will feel the same way after this album is out there longer. haha. Yesterday two young Mormons, here in Sonoma for their 2-yr. mission work, helped me move a truck-load of boxes into storage. We listened to David’s Christmas cd for the 1.5 hr. it took to load the truck (unfortunately, no cd player in the truck) and later, I gave them the cd. Both love David’s music and one of them had followed him on AI and is very proud that David is from his home state. David’s ‘presence’ kept the spirit moving us all 3 yesterday and I recommend this to everyone out there. Put on David’s music and let the spirit move you to do good things. You will be blessed and all the good things will come back to you – a hundred-fold.